An expansive luxury hotel and resort frequented by VIPs since the Civil War, that hides a Cold War-era secret. From 1958-1961 as the hotel innocently constructed an addition, Project Greek Island was underway 720 feet below, creating the U.S. Government Relocation Facility. A worst-case scenario facility, it could sustain up to 1,100 people for 40 days, and the hulking doors are capable of withstanding a nuclear blast as close as 15 miles away, and can block radioactive fallout. The areas set aside for the post-apocalypse U.S. Congress were actually used as meeting halls for civilians who had no idea that they were in a super-secret nuclear shelter. The Berlin Wall was erected in 1961 to divide Democratic West and Communist East Germany, then famously torn down in 1989. Today, almost a mile of the wall is preserved, and each section has a different story to tell. The theme of escape is strong, with the "Window of Remembrance" honoring those who died trying, and successful below-and-aboveground paths to freedom are seen as well. As time passed, preventative escape measures by East German troops changed the landscape of the Wall. Much of this is seen through "archaeology windows," giving a look through layers of the past that would otherwise be hidden, but the stark concrete and guard towers convey their own gravitas that goes beyond historical commentary. South Dakota Air and Space Museum at Ellsworth Air Force Base just outside of Rapid City, SD displays a comprehensive array of Cold War aircraft from diminutive fighter jets to gigantic bombers. Eighty miles east is the Minuteman Missile National Historic Site in Philip, SD. 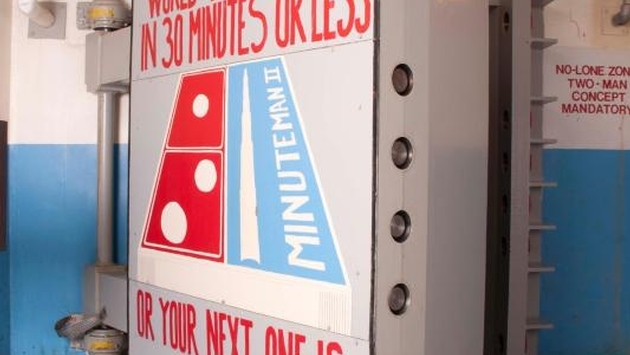 Launch control facility Delta-01 controlled a slew of the U.S. Air Force's 1,000 Minuteman II Missile sites installed across the Great Plains, ready to deliver a 1.2 megaton nuclear bomb, about 70 times more powerful than those used to end WWII. Apiece. Frozen in time from when it closed in 1991, all the components are still here: Banks of equipment, the key inserts that would authorize launch, and the humorously painted blast door, revealing that it wasn't serious business 100 percent of the time. The silo itself is a few miles away, the 90-ton concrete doors propped open to reveal a training missile, sans warhead.